The threat of violence, bullying and injury is a persistent issue in education. Protect your students and staff with HELP ALERT, provide students, their parents and your staff with the peace of mind that, if needed, help can be on the way at the touch of a button. HELP ALERT® creates a secure productive environment in which students can focus on learning, and staff can focus on delivering a quality education. HELP ALERT® is a system of personal safety devices for students and faculty. 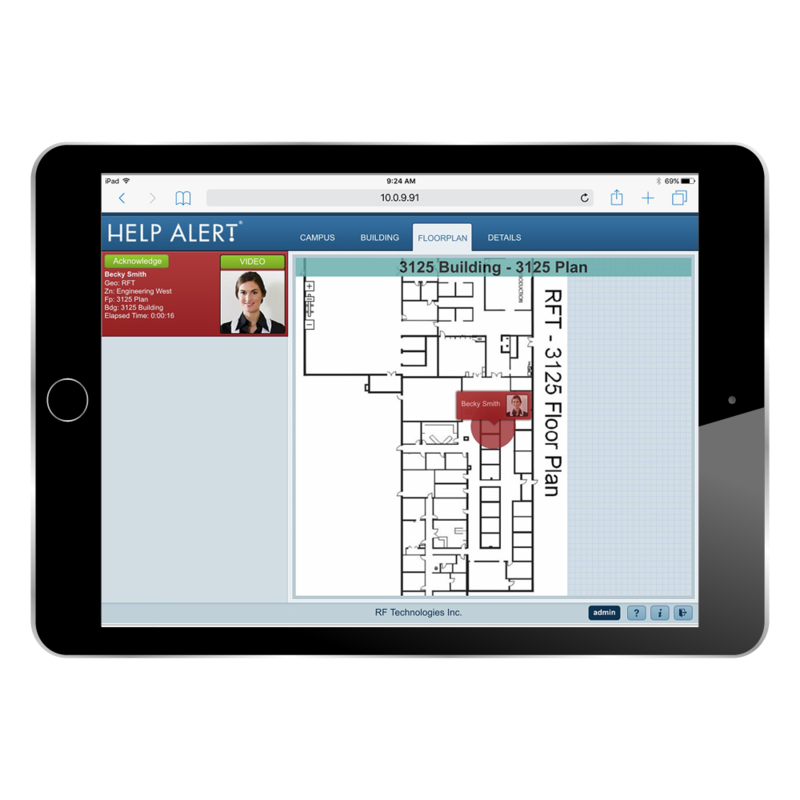 It uses a real-time locating system (RTLS) to locate staff in need of assistance. 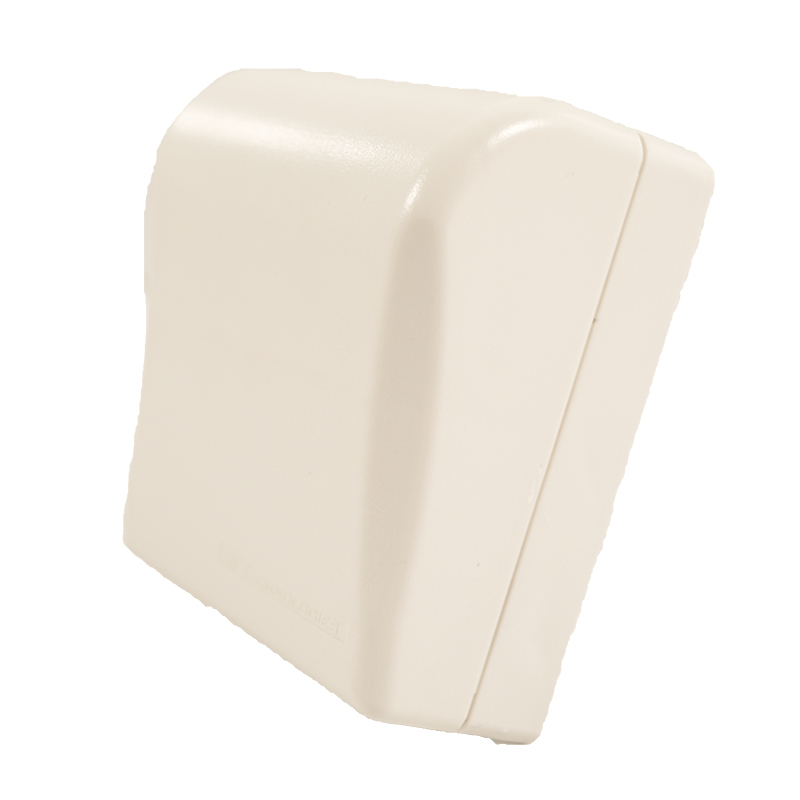 By pressing a button on a small pendant, or mobile panic alarm device, HELP ALERT® immediately and discreetly reports the pendant’s location to your security team. Instantly alert your staff when they absolutely must know about a serious and/or life-threatening situation. Powered by the advanced PinPoint RTLS (real time location system) platform, HELP ALERT® for classrooms can easily be deployed using any existing Wi-Fi infrastructure, without requiring additional Wi-Fi access points. How Can HELP ALERT Benefit You? … when we learned about the new QR Prime System, we were excited to get on board. We were looking for a “next generation” nurse call system and we are very pleased with Prime’s features, reliability, and ease of use. … I knew this was a nurse call system that would fit well in our community. Installation was very quick and easy. It’s always a concern when switching systems after staff has been using the same one for so many years, but our team grabbed hold of QR Prime very quickly. The recent installation of panic buttons in all classrooms and public areas is a welcome addition to our multi-layered approach to crisis communications. We are thrilled to be on the ground floor as we implement this new system for the first time in an institution of higher education. The residents and their families are thrilled with our new system… Knowing that, if their loved one needs something … the staff is only a touch of their pendant away, has made a huge difference in the sense of security both the resident and families have. HELP ALERT® has been an asset in ensuring the safety of our staff and students. It has proven to be an effective tool in providing our administrative team with immediate notification of verbal and physical student conflict, medical emergencies and other situations that have required additional staff intervention. This enhanced security system gives our new parents additional peace of mind and ensures that our littlest patients have the highest quality, safe care. One of the things that we appreciate most about the RF Technologies equipment is its reliability. The system was installed in a timely manner, and we are very pleased with the ease of use and its dependability. From the first phone call to inquire about the system to the final installation, RF Technologies has provided excellent customer service and an excellent product. Lisa PenaExecutive DirectorThe Village, Inc.
Western Connecticut Health Network chose RF Technologies’ SAFE PLACE® to add a higher level of security for our patients. SAFE PLACE provides a proven product that is a good fit in our particular nursing environment. Visit our Resource Library and learn more about how our products work. ©2017 RF Technologies, Inc. All rights reserved.